SNC-Lavalin is facing claims that former executives paid bribes to win contracts in Libya under Muammar Gaddafi's regime, which fell in 2011. 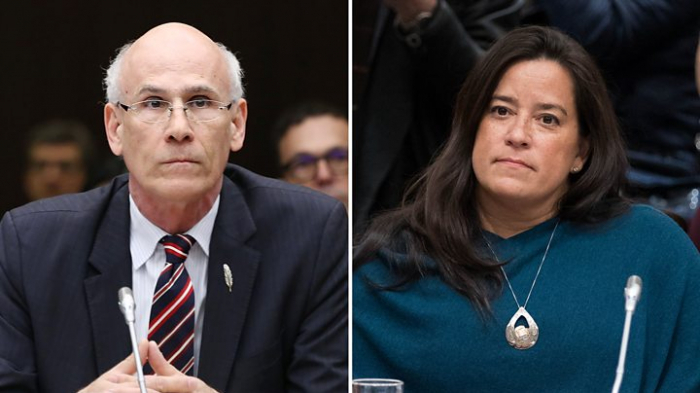 The affair has seen the prime minister lose two top ministers - including Ms Wilson-Raybould, who resigned from cabinet in February - Canada's top bureaucrat, and a senior aide. But opinion surveys indicate that the controversy has shaken Mr Trudeau and his government's popularity months before a general election due in October. The former justice minister and attorney general said she took the "extraordinary and otherwise inappropriate step" of recording the call without Mr Wernick's knowledge because she wanted a precise account of the conversation. "The recording allows members of the committee to decide for themselves" about whether or not she was pressured by Mr Wernick, Ms Wilson-Raybould writes. Mr Wernick stepped down as Canada's top bureaucrat this month. Some 40-pages were released, which include copies of texts and emails, as well as Ms Wilson-Raybould's elaboration on her view of the events.